Multi-instrumentalist Hunter Hayes will release his debut self-titled album on Atlantic Records October 11. The young artist from Breaux Bridge, Louisiana, wrote or co-wrote every song on the album, co-produced it with Dann Huff, and played every instrument. 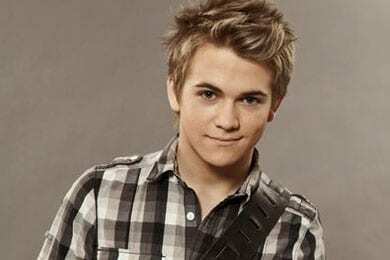 Included among the 12 tracks of Hunter Hayes are his current single “Storm Warning,” which is climbing the charts. Full track list below. In addition to his own music, Hayes has also co-written songs for artists such as Rascal Flatts and Montgomery Gentry and shared the stage with Trace Adkins, Lady Antebellum, LeAnn Rimes, Brad Paisley, Keith Urban and more. He just wrapped up his stint on Taylor Swift’s Speak Now World Tour 2011 and made his first appearance on the Grand Ole Opry. He’s now planning his fall Most Wanted tour.